Last week we broke some exciting news to you, Yay! Evan has a job! 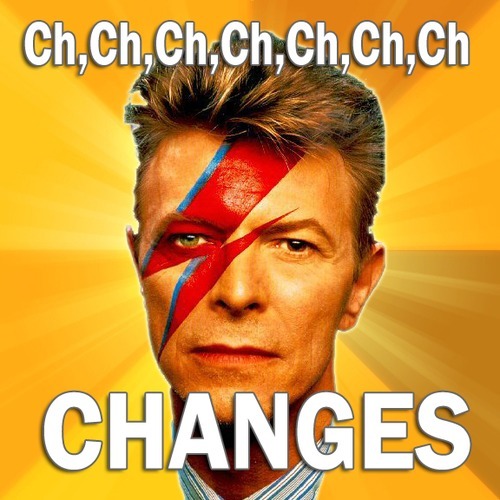 While this new change is wonderful in a lot of ways (especially in the money making department), it also means that Evan isn’t able to dedicate as much time as usual to the blog. As Gordon has already mentioned, keeping on top of our regular posts is a lot of work. Just think of writing a couple thousand word essays each week and you get the idea. We love it, obviously, that’s why we do it, but it still takes a pretty big chunk of time out of our lives each and every week. Up until now we’ve been able to keep up with our regular schedule because Evan would often pick up the slack for Gordon and me. He also tends to be the one on top of the organizational aspects of the blog. But it’s time for something to change. I feel like David Bowie would be really proud of us. We’ve decided that for the time being, we are going to cut back on our posting schedule. We would rather bring you one high quality post from each of us each week, than try to keep up with our regular schedule and wind up producing something we aren’t really proud of. I’ve outlined our new weekly schedule for you below.